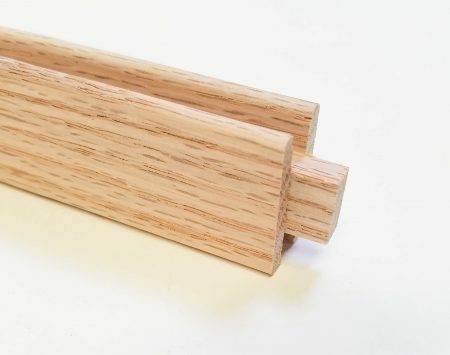 Each pack contains two pieces of our Narrow Oak (1″), Wide Oak (1-3/8″), or Extra Wide Oak (2″) framing. The wood is grain matched and sanded, ready to stain or finish. Two packs make up a complete frame. The measurements listed are for your GLASS SIZE. All frame pieces are unfinished. The frames assemble quickly to produce a sound solid frame. 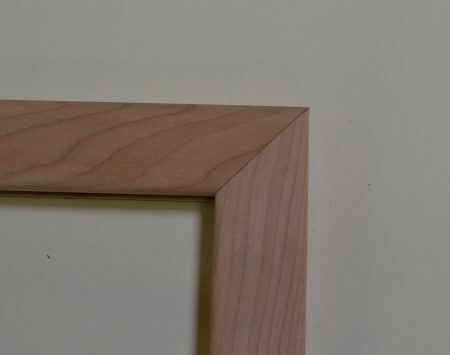 All of the frames are precision miter cut, drilled, and countersunk to accept the tempered Phillips head screws and oak plugs for the screw holes. These are included in a separate individual bag sealed into the top of the pack. The allowance for the stained glass is actually 1/16″ greater than the size listed to allow for ease of insertion, out of square and for expansion and contraction. Available in two groove widths; 5/16″ wide to accept lead or zinc borders, or 3/16” wide to accept etched glass, SGO groove, or any 1/8″ glass. Groove depth is 3/8″ deep. 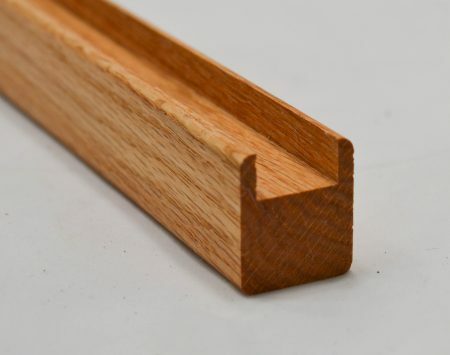 (2″ framing is only available in 5/16″ Lead/Zinc groove). Helpful tips when measuring: Please make sure you measure your glass in multiple spots along the width and height, especially in older windows. They might not be completely square. Double check the thickness of your edge lead or glass. Sometimes solder can build up and be thicker than the standard 1/8″ or 1/4″. If it is, the groove may need to be modified. TWO sets make one complete frame. Available in whole inch increments from 8” to 36” lengths. If you have a custom size, please see our custom framing page for pricing. Use a bit of Wood Glue on at least the bottom two corners of your frame for extra security. When assembling your frame, first line up and glue bottom two corners. Let the glue set up and then clamp the corners for extra support, then fasten the screws into the countersink holes. Note: For ease in turning the screws into the holes, run the threads over a bar of soap or wax. Slide your glass into the partially assembled frame. Now, attach the top piece. Clamp down the corner for support, and place the countersink corner about 1/16″ over lip of pilot hole corner. When screw is fastened, this allows the corners to pull in and become flush. When the corners match up, stop tightening the screw. Check out your work and Whoa-la! You can also glue all four corners for extra support, just follow the first part of the instructions and you are good to go. If using our Chain Hooks, I suggest installing them before you put your frame together for easier installation.